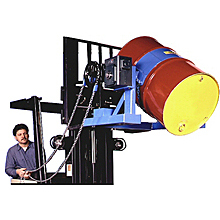 Drum carriers help you remove some of the back breaking exertion involved with lifting and tilting drums for dispensing. 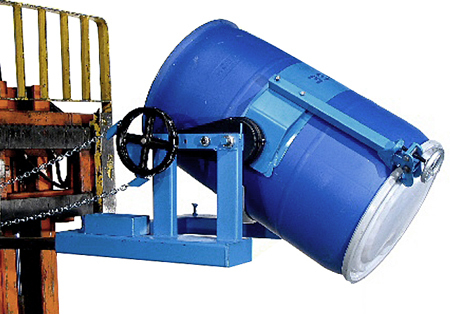 By removing the manual exertion you also increase safety. 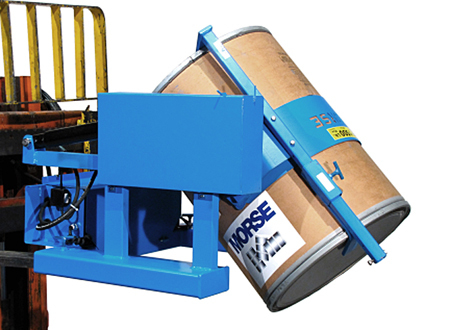 Securely clamped drums on a forklift are always a better way to lift and move drums. Add to that the ability to tilt and rotate up to 360 degrees, you now have a way to handle heavy drums at the touch of a finger tip. 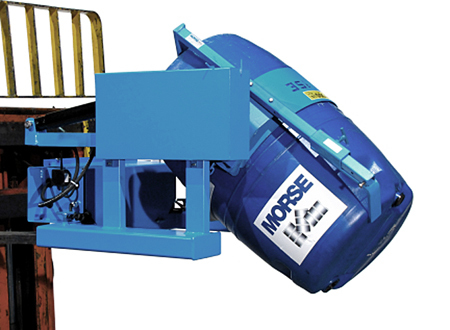 Smooth sided steel drums, most plastic and fiber drums may require the addition of bracket assemblies or rim clamps to keep the drums from shifting in the drum cinch, which relies on the drum's horizontal ribs to keep the drum in place. Some examples of bracket assemblies and rim clamps are shown below. 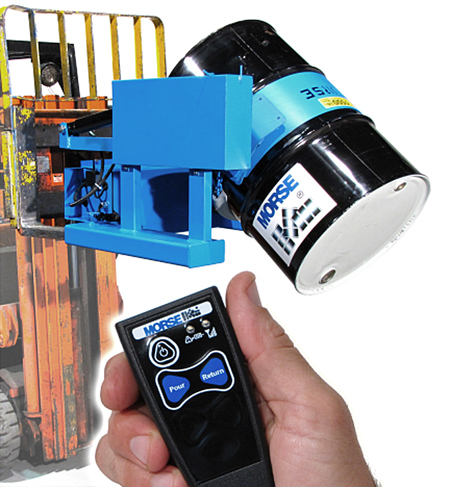 Remote control of the tilt and rotate functions is available if you prefer not to use the cabled controller that comes standard with the battery powered tilt function.